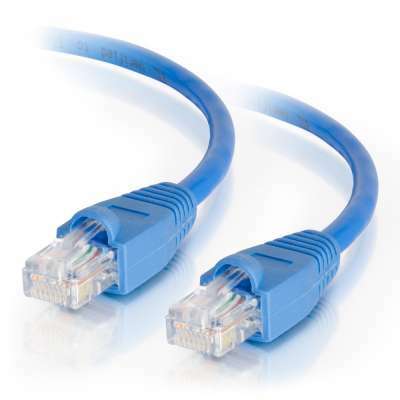 10G CAT6a snagless patch cords are 10 times faster than CAT6 and 100 times faster than CAT5e cables and have molded boots to prevent the cable from catching when pulled through tight spaces. These network cables enable 10-Gigabit Ethernet data transmission over a 4-connector twisted pair copper cable, allowing connection distances up to 100 meters. That's nearly 50 meters more than was previously available with Cat6! In terms of outside noise and interference elimination, Cat5e and Cat6 simply cannot match what Cat6a is capable of. Impressive return loss innovations allow you to enjoy the strongest and most reliable connections yet in the home, and especially in an office setting where fast, dependable cable networking is priority #1.